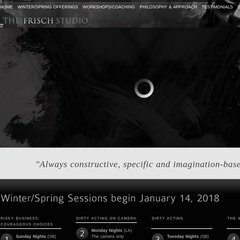 Topics: Winter Offerings, Comedy Scene Study - Solvang, Workshops/coaching, Workshop Intensives, Coaching, and Philosophy & Approach. Godaddy.com Inc (Arizona, Scottsdale) is the location of the Apache server. Its IP Number is 184.168.238.1. It has 2 DNS records, ns29.domaincontrol.com, and ns30.domaincontrol.com.